Peter Dale Scott has written extensively on the Kennedy assassination and other dark corners of the American political scene. His encyclopedic knowledge enables him to connect the dots among the players, the organizations, and the unacknowledged collusions—the deep politics— of our often troubled political system. 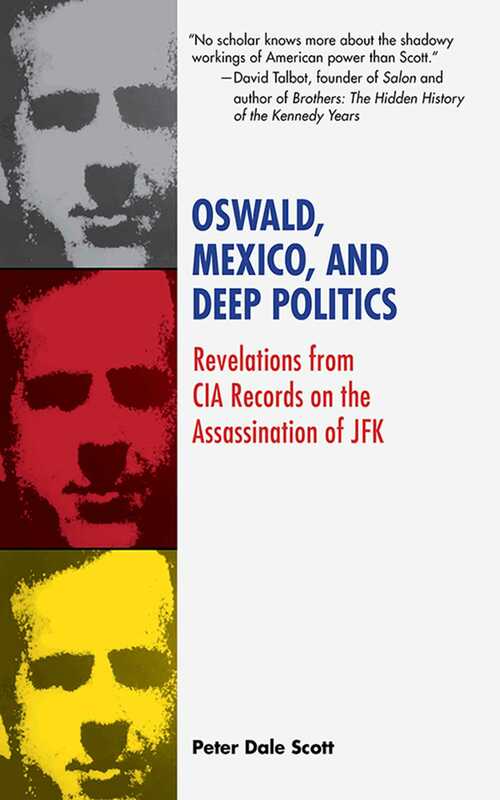 Deep Politics on Oswald, Mexico, and Cuba, originally published in 1995, narrows the focus of Scott’s earlier Deep Politics and the Death of JFK. Scott delivers the most detailed treatment yet of the mysterious sojourn of Lee Harvey Oswald (or someone using his name) to Mexico City in the fall of 1963. Was this trip a key aspect of the framing of Oswald, was it an approved intelligence operation, or was it perhaps both? It is now known that allegations of Communist conspiracy in the wake of the JFK assassination, emanating mostly from Mexico City, caused Lyndon Johnson to put together a “blue ribbon commission” to investigate what happened in Dallas. Scott explains through meticulous research and analysis exactly why LBJ would want the Warren Commission to rush to a conclusion, and the far-reaching political ramifications of the commission’s public findings. Scott’s analysis suggests the evidence from Mexico City was part of a frame-up, making Deep Politics on Oswald, Mexico, and Cuba an essential piece of research and analysis, shedding new light on the Communist conspiracy allegations behind the JFK assassination.